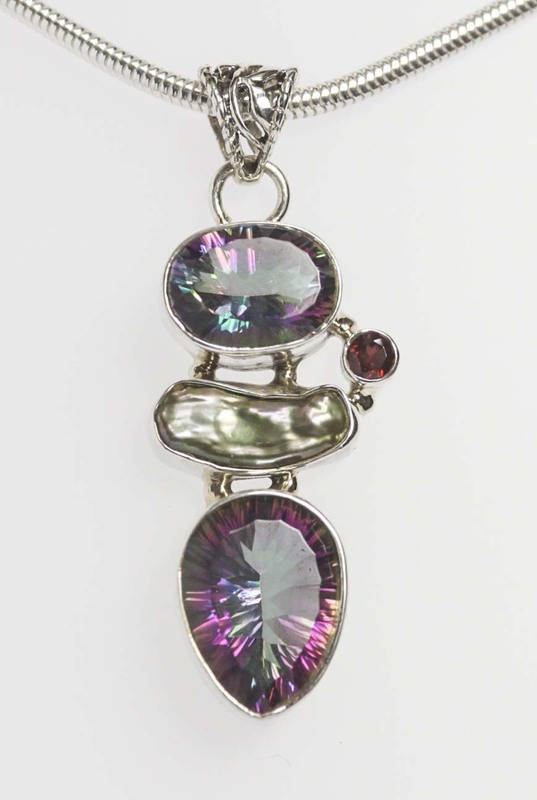 This sterling silver pendant, with ornate pierced bale, features two faceted mystic quartz (treated stone). with a small faceted garnet and a greyish pink Biwa pearl. Clean jewellery regularly with a silver polishing cloth to prevent the build up of damaging tarnish. Stone can be gently cleaned with warm soapy water and a soft toothbrush then rinsed clean and thoroughly dried. Take care not to dislodge stones, particularly the pearl.